Child-friendly?Where the Wild Things Are is an adaptation of the beloved children’s book written by Maurice Sendak. It follows the adventures of a little boy named Max whose imagination brings him to a fantasy land with wild beasts who make him the king of the Wild Things. Adults and kids who love the book will most likely enjoy the movie, but be warned it is not recommended for younger children as the wild things may be frightening. It is recommended for children ages 8 and up. Where the Wild Things Are is the fantasy story of Max, a misunderstood boy who gets has a fight with his mother one night. He imagines sailing off to a world filled with big, scary wild things who roar and hiss at him upon his arrival. Max befriends them before being crowned the king of the Wild Things. Max’s adventures with the unpredictable Wild Things are what will draw many to the movie. Max promises to make his kingdom one where everyone will be happy but soon finds that ruling a land filled with mischief isn’t easy. Director Spike Jonze is known for his edgy style. 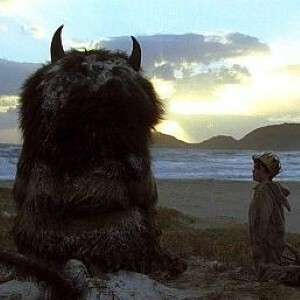 Where the Wild Things Are uses live-action puppetry and computer animation to create Max’s fantasy world. Among the actors appearing in the movie are Catherine Keener, James Gandolfini and Forest Whitaker. The film contains mild language, peril and dark themes and may not be appropriate for all kids. Overall, the theme of coming home is one that will make Max’s sometimes frightening journey a postive one for movie-goers.